Okay, the vCloud Director is up and running as installed in the previous post. Now it is time to start the initial configuration of vCloud Director. You will be presented with the VMware vCloud Director Setup wizard. Click Next to continue. Read the EULA, accept it and click Next. Enter a license key and click Next. Next, create an Administrator account. This will be the system-wide administrator account. In the System Settings, provide a system name, leave the installation ID as is and click Next. 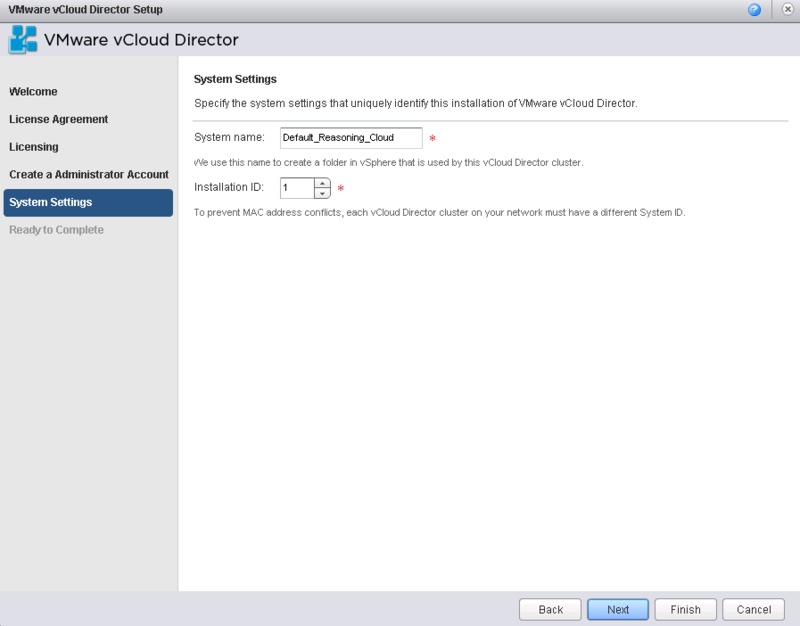 Review the settings and click Finish to end the initial vCloud Director configuration. You will be redirected to the VMware vCloud Director login page. First, let’s attach a vCenter Server to make the resources available for use with vCloud Director. 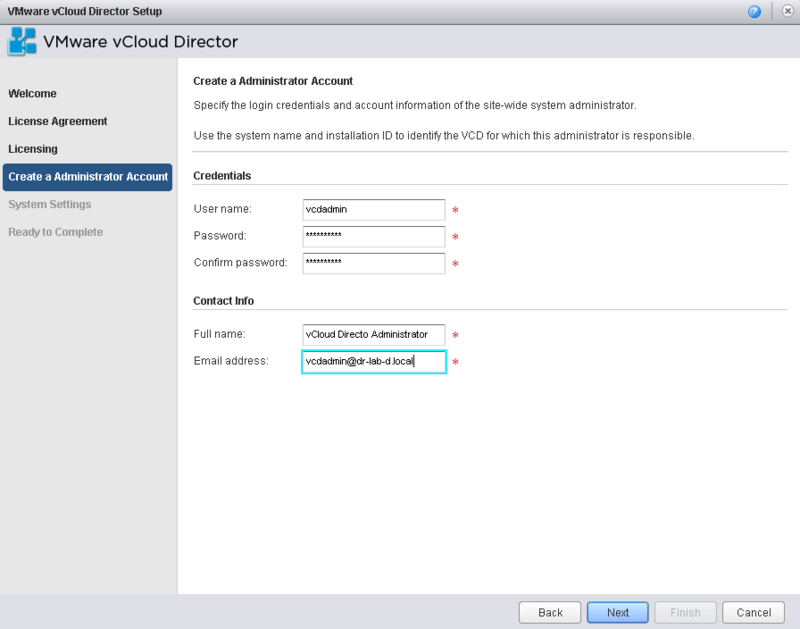 Open the vCloud Director URL and log in with the administrator account created in previous step. From the Home tab, click Attach a vCenter under the Quick Start section. 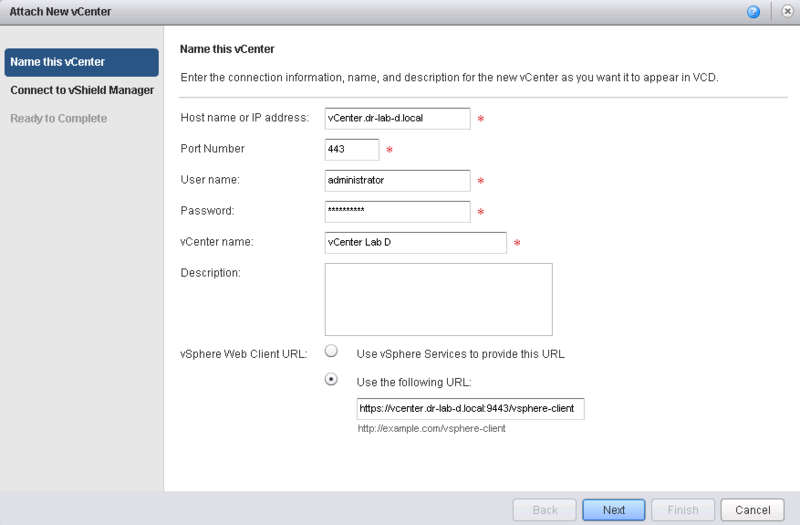 In the Attach New vCenter wizard, provide the information as needed. Next, provide the information necessary to connect to the vShield Manager. Review the settings and click Finish to complete the process. When the process of attaching the vCenter Server finishes, you will be redirected to the home page of vCloud Director. At this point, you could start creating a new Provider vDC and a new organization but there are a couple of settings that need to be configured first. Let’s setup some administrative settings like e-mail, LDAP connection etc. for the vCloud Director. Settings configured in the following steps are specific to my deployment. From the vCloud Director Home page, navigate to the Administration page. Select General under the System Settings. 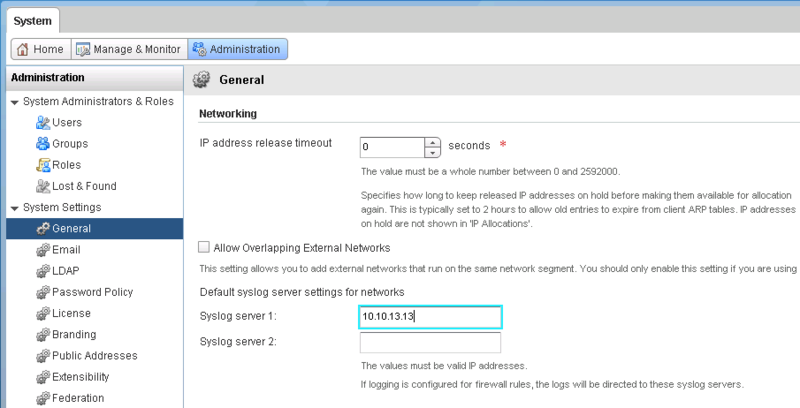 Scroll down to the Networking section and set up a syslog server. Click Apply. 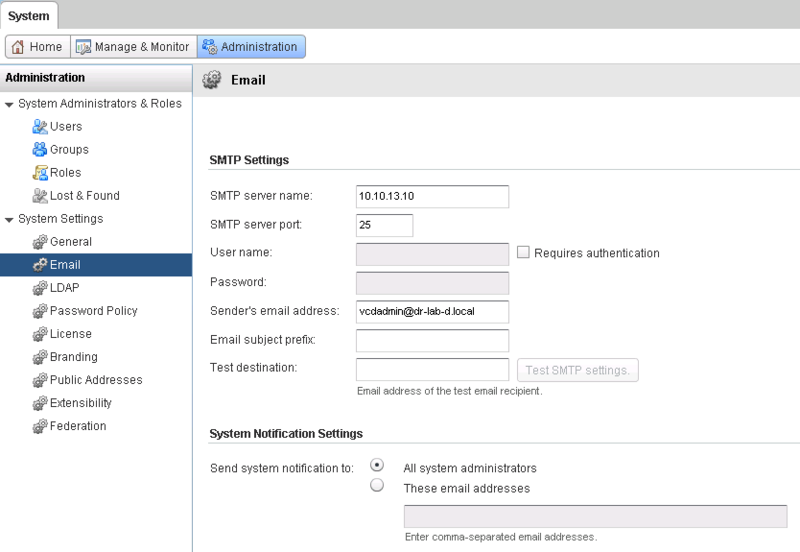 Select Email and fill in the SMTP and System Notification settings. 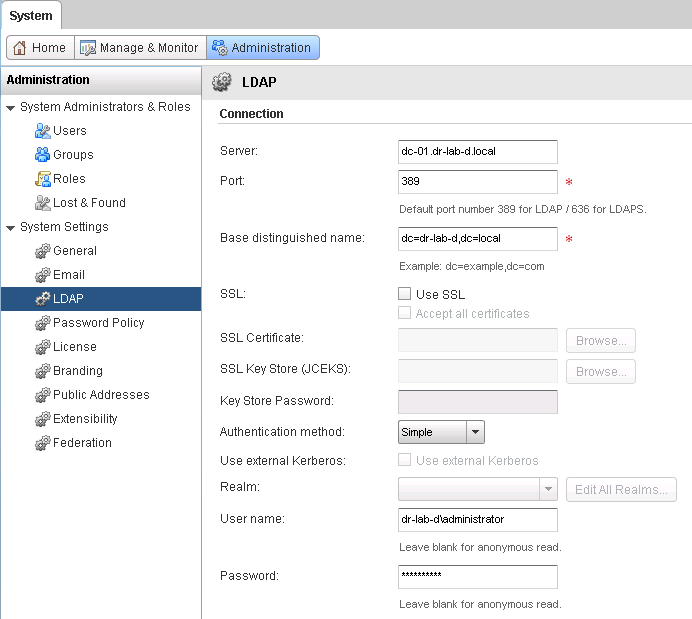 Select LDAP and configure the LDAP connection settings. 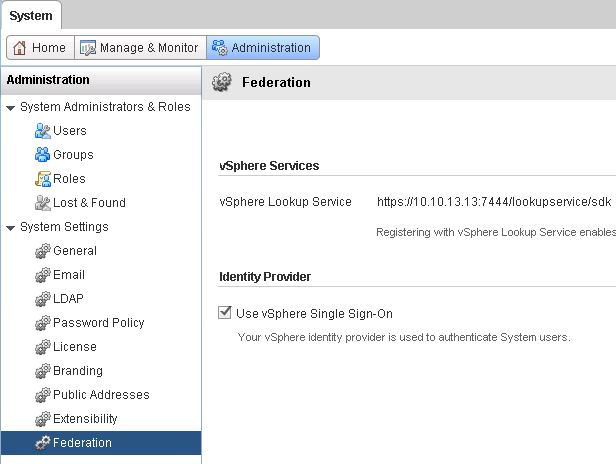 Select Federation and setup vSphere Lookup Service (vSphere 5.1 only). This will allow you to use SSO for authentication. Walk through the vCloud Director system settings and choose/configure the settings that best suits your environment. At this point the vCloud Director is ready for deployment of a new Provider Virtual Datacenter (vDC). Continue to part 4 where we will deploy a new Provider vDC.